Take advantage of our Autosvalls coupons and deals for your next purchase. Autos Valls, leader rental car in Menorca with more than 15 offices distributed on the island among the most popular towns and tourist places. Also available in Mallorca. Autos Valls guarantees a customized service and at the same time offers the best rates in the market; without delays on airport arrival nor unexpected price adds-ons and with the availability to pick up your car at any of their offices, hotels, etc. Upon arrival at the airport, an employee of Valls rent a car will meet you at the meeting point in less than 10 minutes you are on the way to your holiday home. Our multilingual and highly qualified staff is at your disposal and we are happy to give you the best insider tips to make your holiday in Menorca or Mallorca unforgettable. 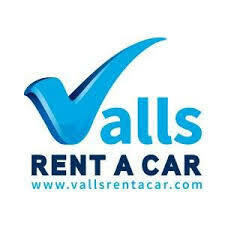 Valls rent a car is the leading rental car company in Menorca and Mallorca – hire a car, motorbike or scooter and enjoy your holiday!